Family Makeup Secret – A Teacher Tip from Miss Gelaude! 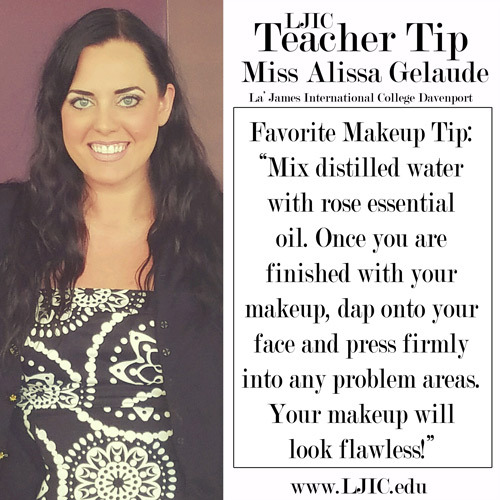 Thank you Miss Gelaude for sharing this great piece of advice & for participating in today’s #LjicTeacherTip! Contact a Career Planner to learn more bout La’ James International College and upcoming classes. Call 888.880.2108 or visit www.LJIC.edu today!